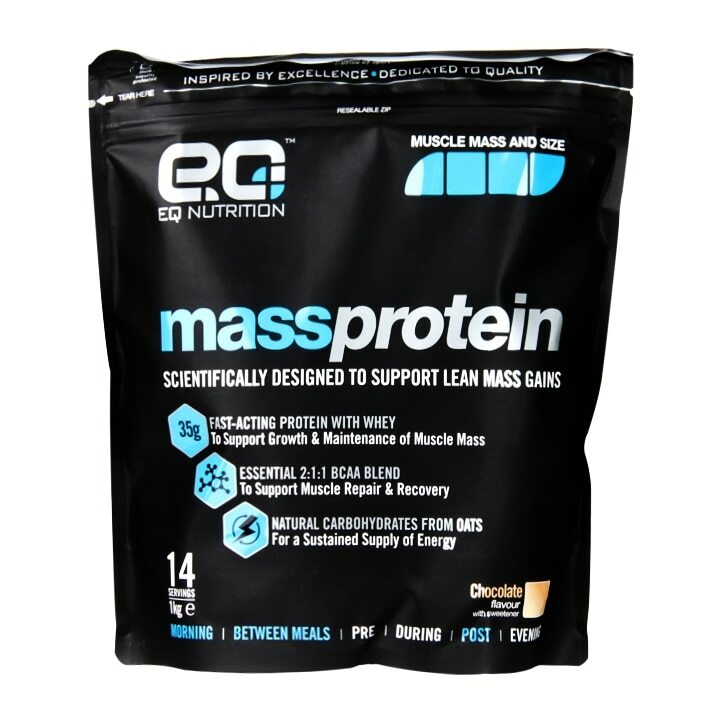 EQ Nutrition Mass Protein Chocolate is rated 5.0 out of 5 by 1. Rated 5 out of 5 by Src1 from Great taste supports spot on nutrition This is exactly what I needed, a mass that delivers the appropriate nutritional balance without the junk. Great taste and I will be ordering the strawberry next.